A discovery service is an online library searching tool that provides an all-in-one interface for finding both local library items and online subscription and open access resources. Why learn about discovery services? Most libraries use discovery services in addition to, or as a replacement for, their OPAC. Whether you are a technical services librarian whose job it is to administer them or a reference librarian who uses them as a major research tool, it is helpful to know how discovery services work. You need to know their features and their limitations. For this article, we will use Summon (with Serials Solutions) as an example. But all discovery services share the same basic functions and features. They consist of three major parts: the index, the link resolver, and the search interface. 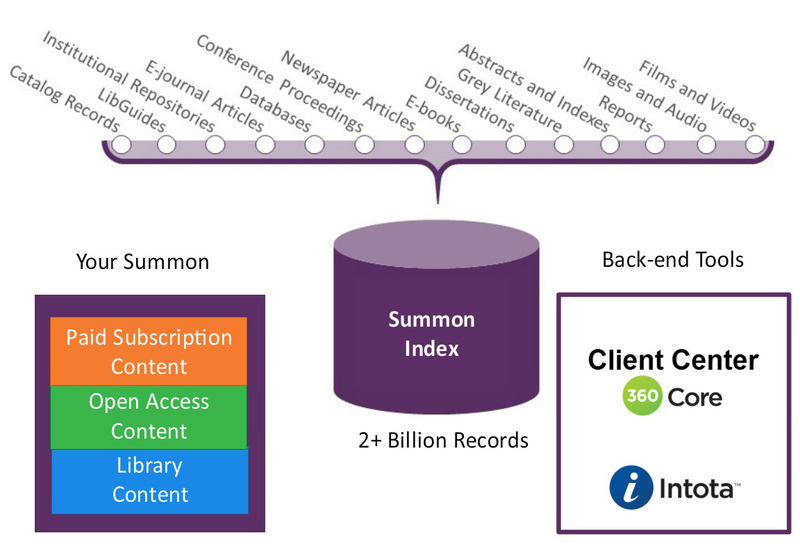 Summon is a discovery service developed by ProQuest and now managed and supported by Ex Libris (since their merger). Summon allows users to search for print and electronic resources owned or subscribed to by their library. 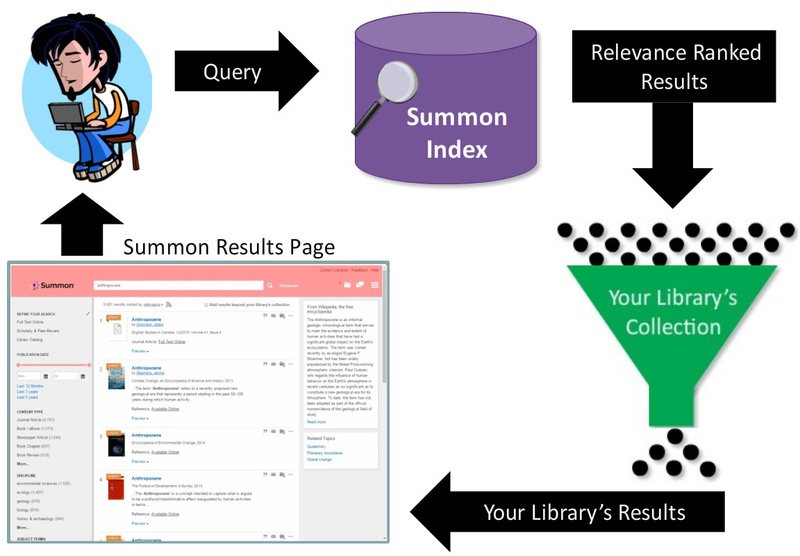 In my library, Summon works in conjunction with Serials Solutions 360 Link using a Summon Unified Index to provide links to ebooks (and chapters), journal articles, audio, videos, library catalog records, institutional repositories, LibGuides, and more. The Summon index contains citation metadata, subject terms, abstracts, full text, and direct links (when available). It also includes Ulrichsweb information, DOIs, altmetrics, and citation counts. When you perform a search and Summon returns results, Summon first looks to see if it has a direct link to the item using its proprietary Index Enhanced Direct Linking (IEDL). These are reliable links that point specifically to the title and are successful more than 99% of the time, according to Ex Libris. 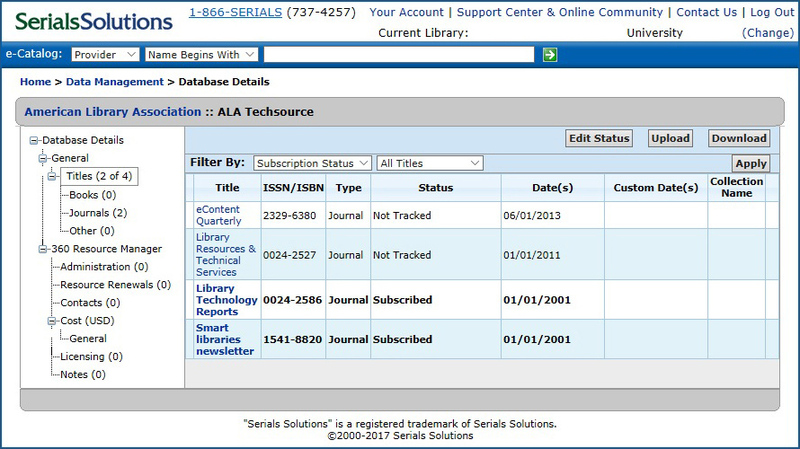 If Summon doesn’t have an IEDL record, the metadata is passed to Serials Solutions 360 Link. This is a link resolver that relies on OpenURL technology. What this means is that 360 Link must build a URL containing item search metadata in a format that the database website can use. Most broken search results links occur when either the URL is badly formed or the metadata on the database’s side is incorrect. Fortunately, Summon gives you ways to work around the problem by providing DOIs, other database choices, or links to the ebook or journal level so that you can browse to the chapter or article. One great feature is Summon’s ability to do a full-text search for library print book holdings by indexing electronic versions of the same title, even if they aren’t owned by your library. Summon then performs relevancy ranking on the results using a proprietary method that is a combination of dynamic and static ranking. Dynamic ranking includes search term frequency, field (title, author, abstract) weighting, term manipulation (synonyms, stemming, etc. ), and other functions. Static ranking includes item attributes such as content type, date published, peer-review status, and citation counts. Library collection items are given a higher ranking than subscription database items. After relevancy ranking, Summon filters search results for those items that your library has access to by default. Of course, users can see all of the relevant results by checking the “Add results beyond your library’s collection” box. Finally, Summon offers several filters to limit results to full text, peer-review, library catalog, content type, discipline, publication date, and language. Now that we know how Summon indexes and creates search results links, we need to know how Summon selects results that are only contained in your library’s collection. In this sense, your “collection” means both your print holdings as well as all of the online resources you own or subscribe to. In order for Summon to link to your online ebook and e-journal holdings, you must tell Summon what you own or subscribe to. 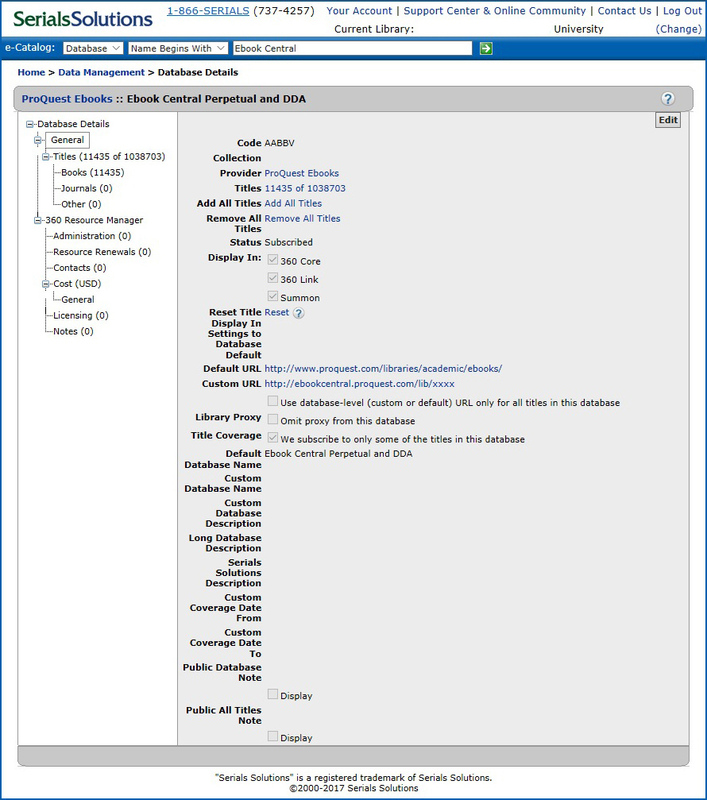 You do this by activating or “tracking” your holdings in Serials Solutions 360 Core, the back-end of 360 Link and interface for the ProQuest Knowledgebase. You can track entire databases, publisher collections, journal titles (with specific date ranges), and individual ebooks. For each database you subscribe to, you might subscribe to all of the titles (if offered as a complete package) or you might subscribe to only some of the titles (if purchased individually). If titles within a database are purchased individually, you must track those individual titles. In addition, you also might need to set custom dates if you don’t subscribe to the entire run of the journal title. If you subscribe to an entire database, new titles get added automatically when they become available. Ebook Central can also be set up to add your newly purchased ebook titles (perpetual and DDA) automatically. Otherwise, library staff must add new ebook and e-journal titles manually. Because libraries often have unique access requirements, Serials Solutions gives you a way to customize your access URL and other details. For databases which do not have article- or ebook-level linking, you can choose to link at the database level instead. You can choose to include your proxy URL for subscribed titles or omit it for open access resources. You can include custom journal subscription date ranges. Finally, you can add custom public notes (such as login information). Discovery services can include records from your library catalog and institutional repository. There are several different methods for getting the local records into the Summon index. At my library, to get our library catalog indexed, we export bibliographic and holdings records from our ILS on a periodic basis and upload them via FTP to Ex Libris. Staff at Ex Libris then add them to the Summon index (a process that can take several weeks). For many institutional repositories, you provided Summon with access to your institutional repository metadata using Open Archives Initiative Protocol for Metadata Harvesting (OAI-PMH). Institutional repository content is then harvested automatically on a periodic basis (weekly for Summon). EBSCO Discovery Service (EDS) – Guides and training from EBSCO. Primo Overview – UX and features from Ex Libris. Summon Product Information – Guides and training from Ex Libris. WorldCat Discovery Services – Documentation and training from OCLC. 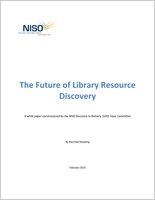 “A white paper commissioned by the NISO Discovery to Delivery (D2D) Topic Committee” gives an overview of the current state of library discovery services and looks into how they might adapt to the future. Published in 2015. Access the full-text article (PDF). Part of the “Advances in Library and Information Science” (ALIS) series. This book is a collection of papers covering discovery UX, e-metrics, open source, digital libraries, and library usage studies. Published in 2016. View details and find a place to buy or borrow at Google Books. No. 9 in the “Practical Guides for Librarians” series. 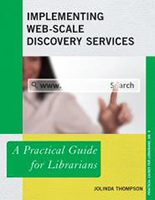 From the publisher: this book is a “one-stop source for librarians seeking to evaluate, purchase, and implement a web-scale discovery service.” Published in 2014. This title is actually an issue of Library Technology Reports from ALA Tech Source. The report covers the content, interface, and functionality of discovery services from the major vendors to help with evaluation. Possibly a bit dated now. Published in 2011. 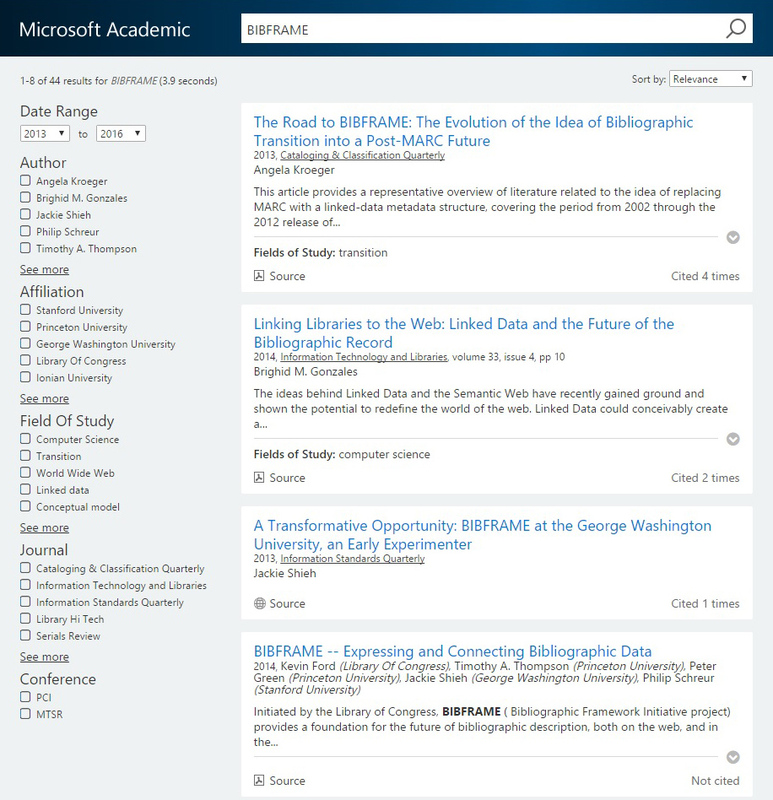 The Microsoft Academic search tool is an open discovery service for scholarly scientific works including citation relationships between works, authors, institutions, places, and subject fields. Microsoft is quietly developing an open discovery service for scholarly scientific works called Microsoft Academic based on Microsoft Research’s Microsoft Academic Graph (MAG). This search database will function much like Web of Science and Scopus in linking paper citations to aid in discovery. To build the MAG, Bing technology crawls the Web looking for “publisher websites, university repositories, researcher and departmental web pages, etc.” which then get analysed for content and citations. If papers are determined to be scholarly works, they’re added to the MAG. This new service puts a knowledge driven, semantic inference based search and recommendation framework front and center. In addition, a new data structure and graph engine have been developed to facilitate the real-time intent recognition and knowledge serving. One illustrating feature is semantic query suggestions that identify authors, topics, journals, conferences, etc., as you type and offer ways to refine your search based on the data in the underlying academic knowledge graph. You can also refine your results using the filters on the search results page. Since we are built on top of Bing’s web crawling infrastructure, we are able to discover and index new academic papers in a more scalable manner. We now have over 150 million entities and billions of relationships in the Microsoft Academic Graph and growing! Search results can be filtered by date range, author, affiliation, field of study, journal, and conference. Users can choose to include news items or limit results to scholarly works. 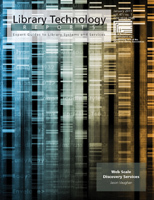 The underlying MAG data is available for download or accessed via the Academic Knowledge API. 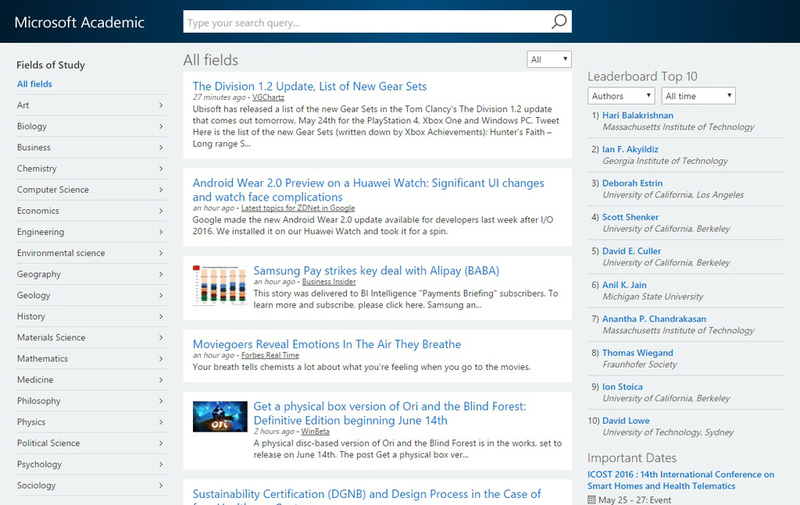 It remains to be seen if Microsoft Academic can develop the features to rival Google Scholar. Three features would go a long way towards that goal. The service should allow libraries to register so that search results can contain custom links including institutional authentication such as a proxy URL prefix. Microsoft Academic could add its own altmetrics by gathering results from Bing crawling the Web and social media sites. A simple tool to add citations to Microsoft Word documents would be a way to set Microsoft Academic apart. But its open, non-commercial platform with downloadable data and APIs makes it a search service to watch. Preview Microsoft Academic at https://academic.microsoft.com.